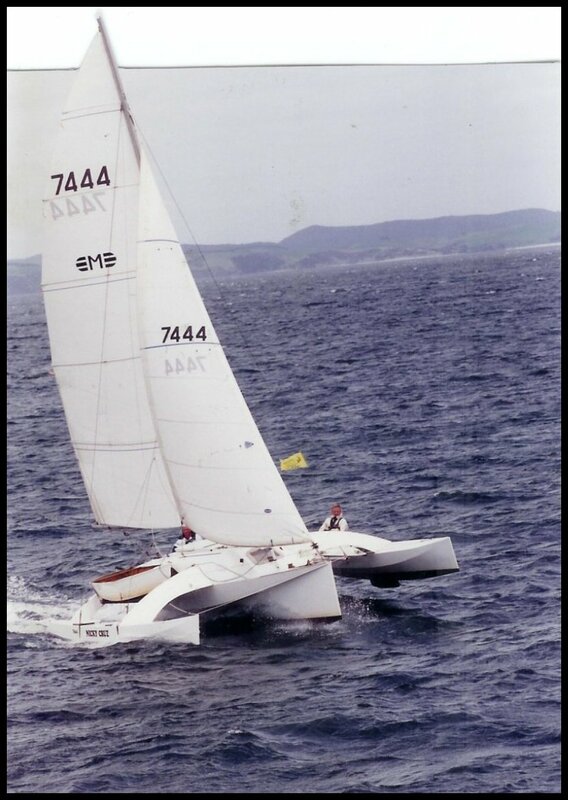 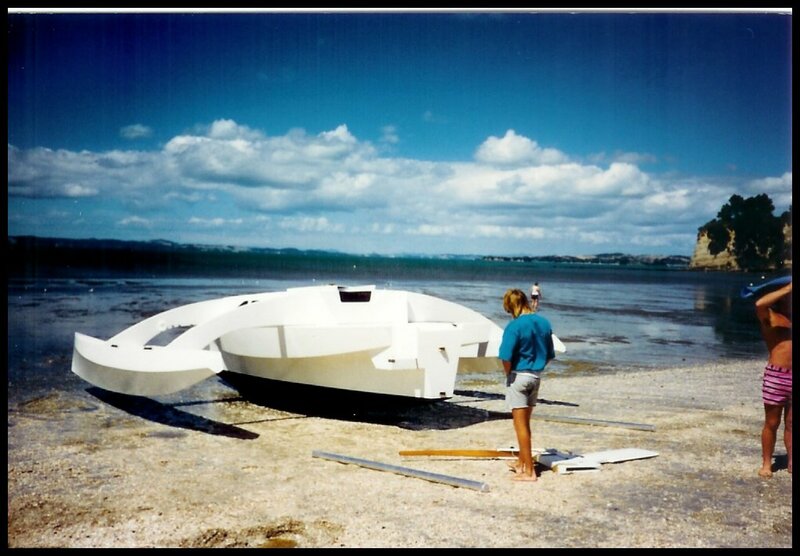 * The NICKY CRUZ range of trimaran's and catamaran's are all demountable and are intended for amateur construction in a relatively small temporary shed, in the backyard to keep costs low and allowing the builder more time to work and at his/her convenience. 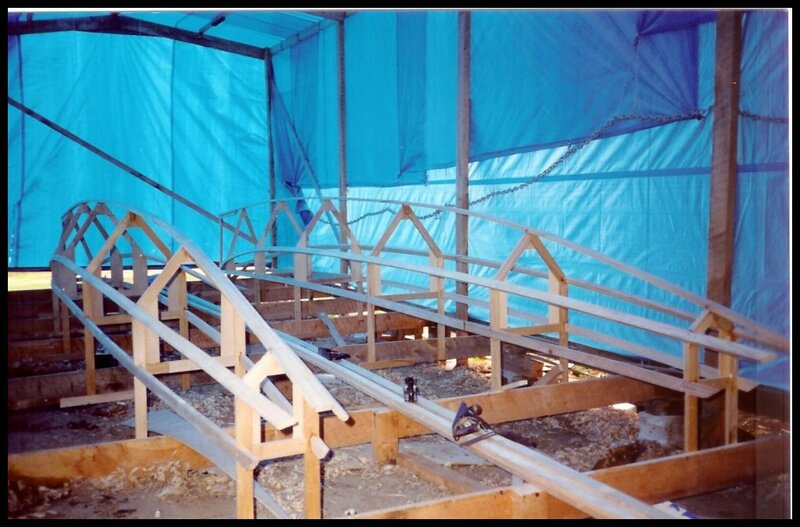 * Being demountable also makes transportation to the chosen assembly and launch site a relatively easy operation. 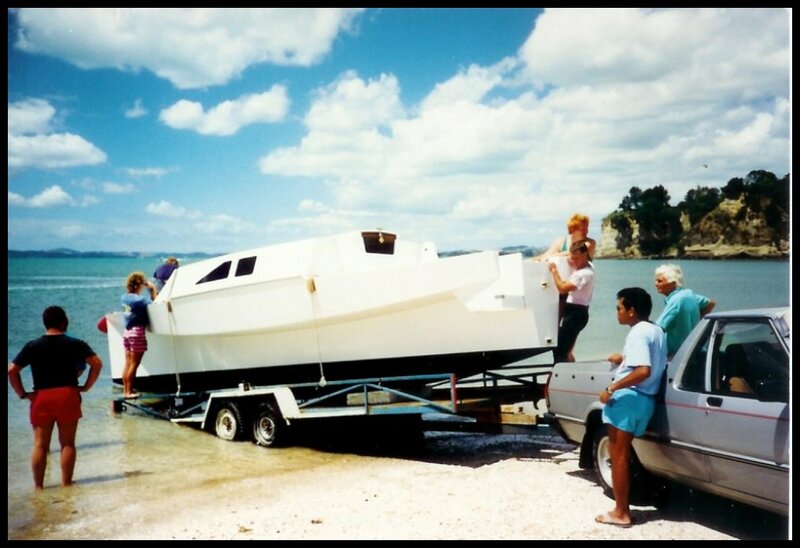 This can be achieved by using a car transporter trailer, these are readily available for hire and can be towed behind most 2 ltr vehicles. 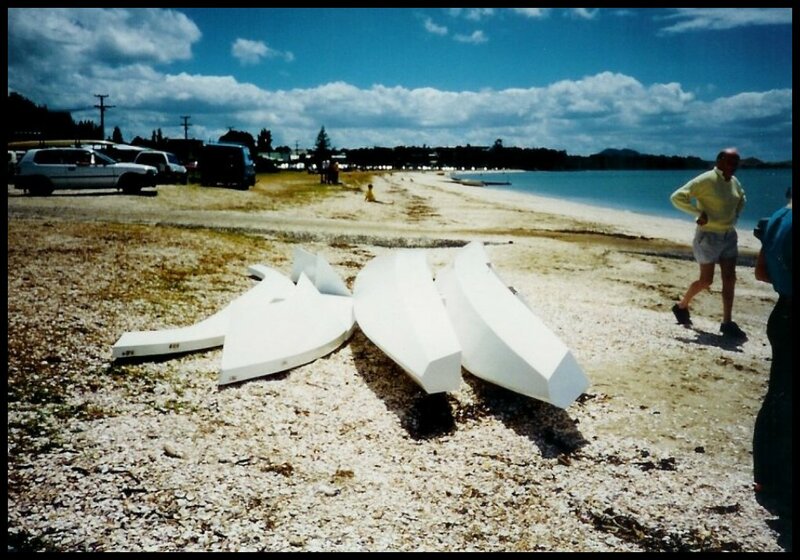 * These boats are also easy and affordable to ship overseas on a 40' flatrack open container system if required. 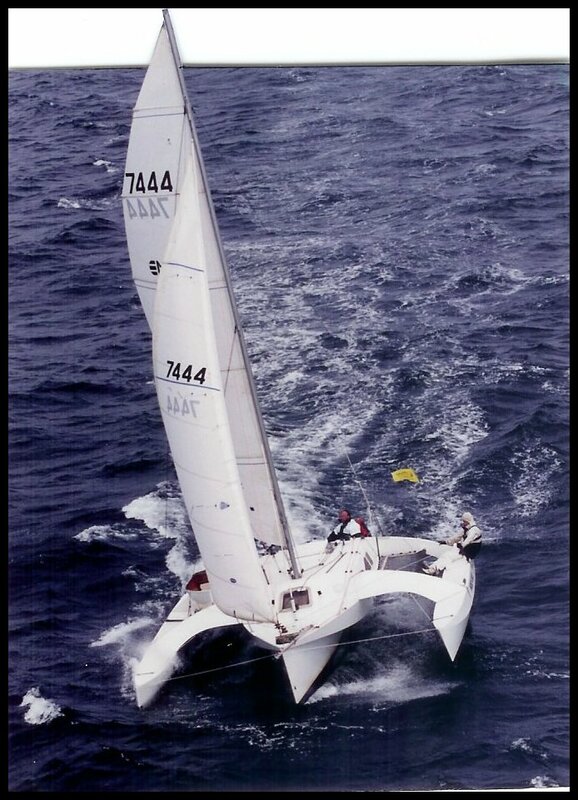 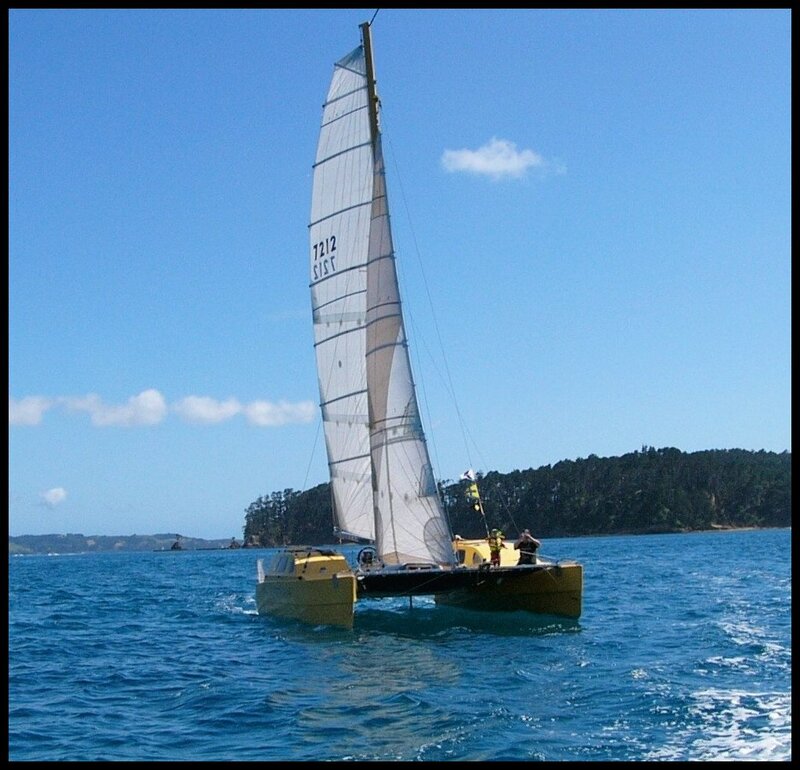 * Our design intentions are to provide affordable performance catamarans and trimarans that offer an acceptable degree of comfort for amateur construction. 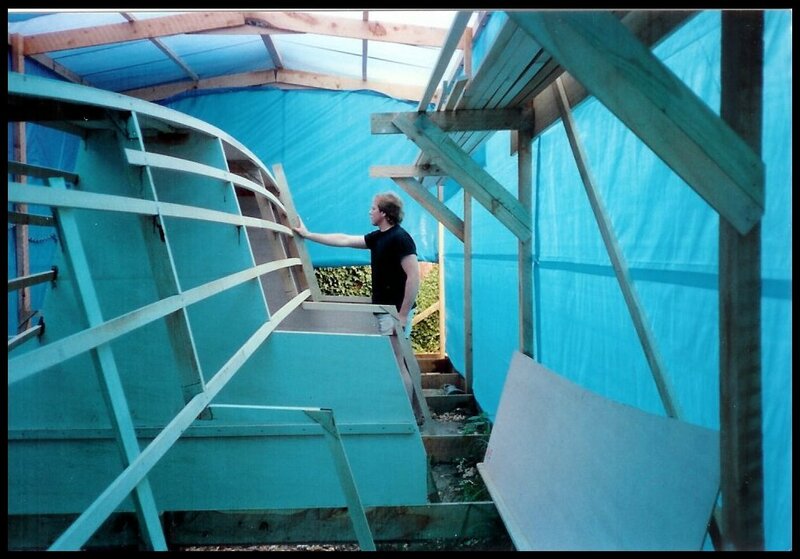 * Our prefered method of construction is sheet plywood over timber stringers and frames, sealed inside with epoxy and sheathed externally with fibreglass cloth producing light strong and durable boats that are inexpensive and relatively easy to build.